The Special Issue of the EJLS is published! 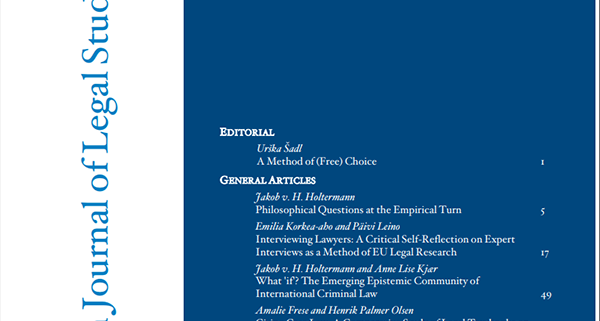 Jakob Holtermann, Anne Lise Kjaer, Paivi Leino, Emilia Korkea-aho, Henrik Palmer Olsen and Amalie Frese unpack and scrutinize European Union lawyers, international law, legal knowledge, human rights, and the epistemology of legal empirical research. The special issue is the first output of the NoLesLaw initiative. The exact beginning of the journey is difficult to pin down and untangle from so many interrelated events of the time. There are several beginnings. One of them is the fortunate meeting of northern and southern and eastern and western minds, wondering about and willing to explore the so-called empirical turn in contemporary legal scholarship. The European University Institute (EUI) in Florence, which is the home of the journal, has long stood for an approach to law that looked at law in its social, economic, and political context. So long that it had perhaps run out of steam. To reinvigorate what was once an original idea and a novel approach is never easy. Many legal scholars feel uncomfortable and worse – bored – by computer code, transcripts of interviews, and regression tables. Some might even fear (and do, in fact, if Holtermann and Madsen are correct) that studying facts rather than principles is missing the most important element of law: its normative character. And yet, two editors bravely walked into the blizzard in Northern Sweden in March 2017, quite literally and metaphorically (intellectually), to participate in our first workshop. They selected the articles, which were subsequently discussed and presented in various forms and formats. They are finally here because of the dedication, the patience, and the intellectual curiosity of the editors and the authors. You can read the EJLS NoLesLaw Special issue here. 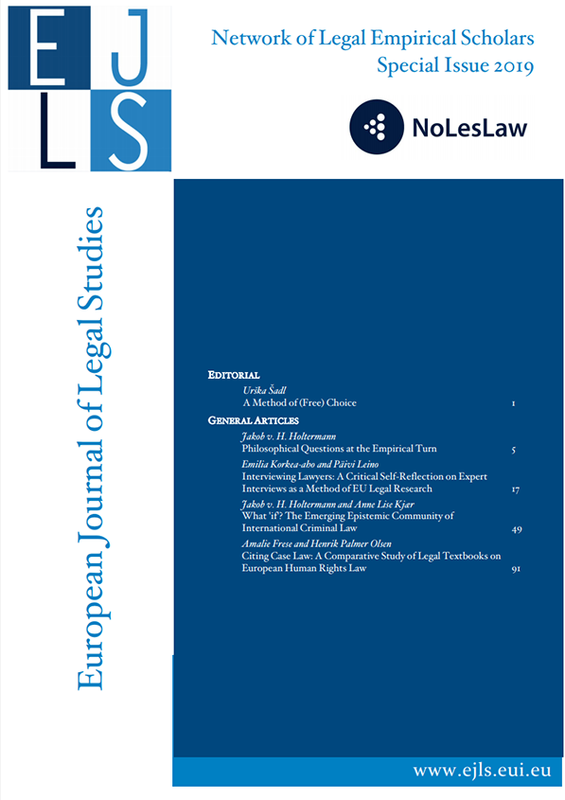 Read the European Journal of Legal Studies NoLesLaw Special Issue here.